What does a ball of yarn, a quilt, a Makespace, the Honey Bee, a podcast, Green Smoothie and a Minecraft Museum all have in common? 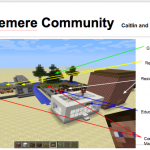 The following is an example Inquiry Lesson that infuses Maker Space, Collaborative tools, Inquiry and Design thinking, including Minecraft. We facilitated this lesson at the Enrichment and Innovation Centre in our Grade Six Journalism Program, for Gifted Students. This Video is the lesson consolidation. Everything is connected. “How Wolves Change Rivers”. We ask: Is Interconnectedness essential for our survival? *How does the interconnectedness of anything change its course or direction in life? *What does it mean to depend on someone or something? *Will the disappearance of the honey bee impact human life at the local to international level? In what ways? *How can we strengthen our own connectedness to the earth? To each other? 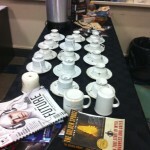 To begin, we would use a “Flipped” approach. First, students would be given a task to investigate content related to the local and global issue of disappearing bees. Students explore, find, read,watch/listen and discover information related to why honey bees are disappearing. Second, students are asked to bring a leafy green vegetable and a fruit (and any type of super food such as chia or hemp). Contributing means feeling part of something and recognizing the value you bring in- your importance. This piece is vital. It strengthens community and builds trust. Mock kitchen is created. Vegetables are displayed along with a nutritional information focus; Students would also share in a Tea Circle Discussion upon arrival (as they do most days); The kitchen would also have an assortment of plants (especially those with obvious pollen); A variety of honey types would be on display for students to explore the texture and taste and begin to make personal connections to the topic. There is also a worm compost bin (vermi composting) to maintain the importance of connections and emphasize the value balancing what we take and give back to the earth.-Flowering plants on display for students to explore with microscope; A variety of informational videos available. Collaborative puzzle for hands-on activities (an explicit way to demonstrate the connectedness of each individual piece and its necessity for the whole); A display that demonstrates facts and data, along with inquiry questions; A map display showing areas that are impacted; Honey Comb is be available to help students learn about the geometry of the Bee Hive and how the HoneyComb is made. With a cup of tea, the lesson will begin around the “Kitchen Table” where we will feel, touch, smell and taste some of the fruits and veggies that will go into the Smoothies. We will discuss how the veggies change their attributes and nutritional impacts when the are paired with one another (i.e., vitamin C with Iron). As a group we begin asking questions about what we know and don’t know about the vegetables, their interconnections to each other as well as to the earth. We will ask, what would happen if they weren’t available? Here, we would begin our inquiry. 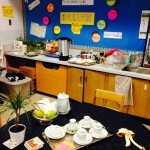 Following our Tea Circle, students will begin an independent exploratory activity where they will participate in a ‘shared’ Google Document and contribute to collaborative inquiry. (Here, a link is created by opening the document to anyone with link to make the process efficient.) Students contribute to information search focusing solely on the specific foods they brought in (or assigned to) and make explicit connections to nutrients. They use the information to create recipes that focus on a certain need or ailment. We call it “Brain and Body On”. 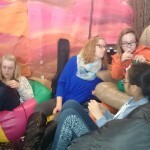 We would later use this activity to make the connection that healthy foods are a necessity in our lives and begin the inquiry of WHY so many people continue to suffer obesity and health problems – relating this to our connections to the people and world around us. We would discuss Nutrition in the context of wealth and poverty and further explore the Global Goals. Students would discover that this loss would perpetuate poverty and would lead to a health crisis since our most valuable resources (as they’ve discover) are only accessible to people who can afford the high costs. Together: Students begin the day, together in a large circle (this process helps students understand the impact of being connected and interconnected). Students are encouraged to be mindful of the fact that they all share in the moment, the day. 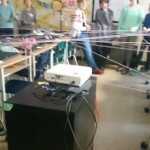 One by one, students pass a ball of yarn while celebrating and sharing one connection (a team, a family, a friend, a book…). They form a web of direct and indirect connections and would learn that they can be impacted indirectly when the yarn is yanked or dropped by anyone in the circle, even those that aren’t directly linked. compare this to our connections to our planet, to other living organism, to the foods we eat, to others – near and far. 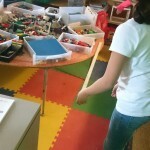 Individual: Students are given time to explore hands-on activities provided throughout the classroom – all that demonstrate concepts of interconnectedness. This can be done at the start of class (when they arrive, or throughout the class as time allows. As a class, students create a COLLABORATIVE book that identifies a variety of topics/issues involving the plight of the honey bees and the interconnectedness of the environment and humans. Together, students create a list of issues involving the disappearing bees ( focus on trade, farmers crops, use of pesticides, GMO’s, cause and effect on environment…). Upon completion, each of the Inquiries will be posted. 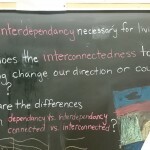 In partners or individually, students are given a full period (or more) to research and discuss the topic of their choice, but always relating it back to the inquiry topic of the Honey Bee and its interconnected value to the world. *Note – Throughout “Worktime”, students will have an opportunity to make SMOOTHIES based on their recipes and ingredients (from earlier activity). 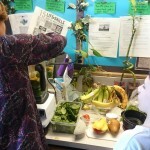 During this small group time, students will be asked to share how the ingredients and the nutrients are directly connected to their inquiry topic. AT this time, we will make connections back to the land and its impact on farming and then back to the consumer. 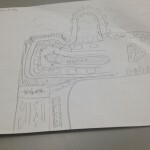 Product (Culminating) – What are students working to create/produce? *Podcast – Students learn to use Audacity and begin exploring podcasting techniques. 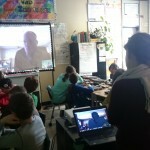 As part of Interconnectivity, students use SKYPE to discuss Podcasting techniques with an expet in podcasting -Rodd Lucier.. Students are given examples and podcasting techniques -how to express voice, to conduct an interview, to use voice to convey a message, etc. 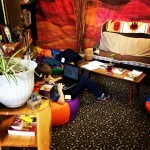 Students will create a podcast interview, informational podcast or a skit. *Blog – Students upload their podcast to their blog along with a blog describing the topic and inquiry question.Students have a prior knowledge of blogging. They will be reminded to use more than one medium in their blog and to end their blog with an inquiry question. 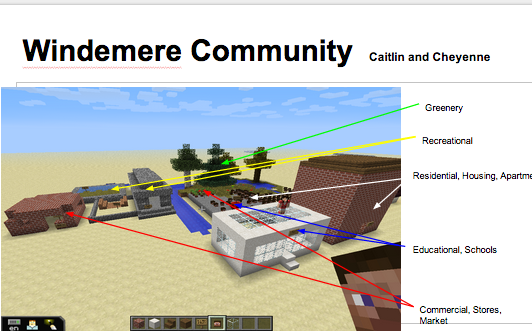 *MinecraftEDU – Students will design their solution or their information topic in a collaborative world. 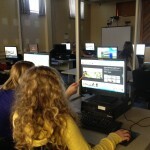 Here students will design a collaborative museum, where they will add their information through design and interactivity. Research and Information produced must contain local and international data that explains a topic. 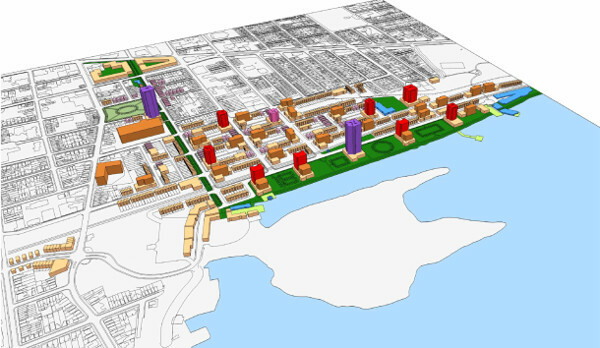 The purpose of this lesson is to inspire and engage students to use creative and critical thinking skills to make decisions and designs that impact an urban area. This cross-curricular approach to Design Thinking, allows students the freedom to use and connect their inquires to real examples. The activity is intended for group or collaborative learning and uses a combination of whole class and small group facilitation with access to a variety of tools. The final product is a Design and proposal of a chosen Urban Landscape in their own community. 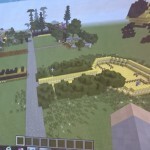 Minecraft (and lego) are ideal platforms for students to use resources and tools collaborative to display their concepts. 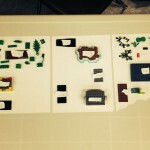 The example lesson (below) was facilitated with a group of 7th and 8th Graders in the Gifted Program at HWDSB. Design Thinking – How are Urban Landscapes changing to meet the needs of people and communities of the present and future? Throughout their schooling, our students learn why cities are built along waterways. Most Social Studies (History, Geography) curriculums emphasize the impact of Early Settlements and Explorers at the turn of the 19th Century. Students learn about industrialization and as they move along in grades and age, they begin to make connections between the age of industrialization, globalization, communities, Social Justice and Environment. Our learners have and will make strong connections about how the age of industrialization has impacted them and the world around them. Eventually, they will use this knowledge to move forward and apply 21st Century technologies to make change and adaptations to the world around them. 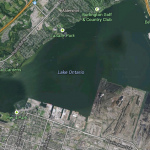 The picture here is Hamilton, Ontario, situated on the Western part of Lake Ontario (across from Toronto, South of Niagara Falls). 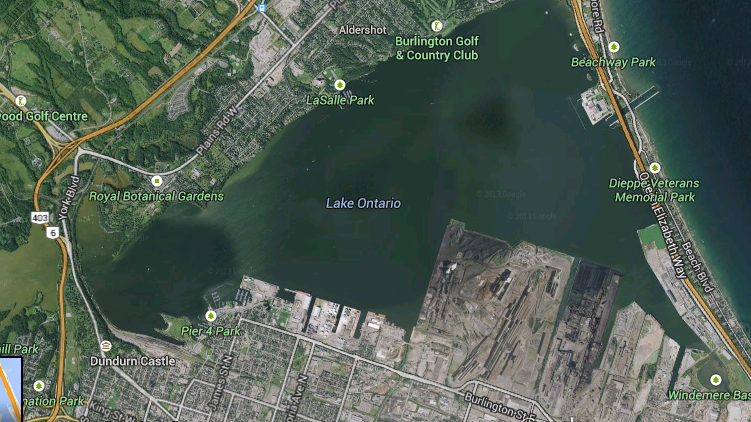 The area at the bottom of the picture display the industries and factories that gave Hamilton it’s nick name – Steel Town. Over the last few years, many of these factories have downsized, been bought out, or have shut down. This is a REAL example that IMPACTS my students. It is their community, their city, their economy. They need to feel compelled and INSPIRED to care, to understand why this single example connects to people and events around the world. Ask the Learners to think Big: How can old technologies and industries be transformed to meet the needs of today..and the future? WHY does it matter? In most big cities, there are areas just like Hamilton where the industries that occupy the space are changing in scale and nature. Many are approaching the end of their time. This is an excellent opportunity to have students explore, investigate and make real world connections. Who knows, maybe one of their ideas and concepts will become a reality. Ask them to think BIGGER. What makes a good city? Why? What is the difference between demolishing and restoring? How are cities changing or how should they change to meet the needs of a growing population? Invite students to make GLOBAL Connections – In this short and compelling talk Kent Larson gives many examples of how cities and industries are changing to meet the needs of the future. Kent Larson: Brilliant designs to fit more people in every city gives some examples that apply to the now and the future…. Bring it back to a local example and invite students to share potential ideas, concerns and insights from those shared by Larson. Are the innovations realistic? Doable? Possible? How do the ideas and theories from other communities impact our community? Invite students to explore examples from other local areas. Examples that are real and possible. 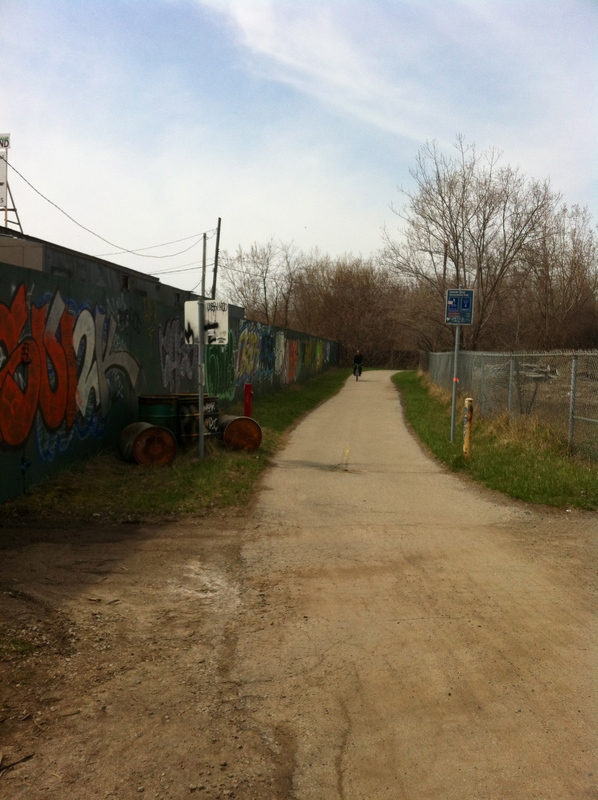 Here is one from Hamilton’s Neighbour – Toronto.The Cherry Beach area, along the Toronto Waterfront that seems to only be used by locals. 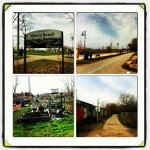 Paths, and parks boarder along industries and along the waterfront. Invite students to share the many examples of how land and space can be restored to attract people and improve communities. 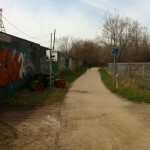 This picture is an example of bike and pedestrian paths that were added behind roads, beside roads, on the side of factories and even along old rail lines, eventually leading to the Beaches area of Toronto. 1) In pairs or groups, continue to investigate the history and examples of urban redevelopment both locally and globally. 2)Draw, Sketch and Discuss alternatives to the land. 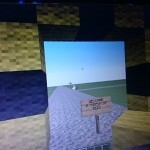 3) Co-create and build the land in the Minecraft and/or LEGO Environment – Flat Land (collaborative server). 4) Using a shared Document, presentation style, ADD a captured screen shot of the proposed concept/design.